The moon has a powerful influence on our bodies, moods and emotions. This is true particularly for women who have more water element as part of their natural make up. Just like the moon influences the tides of the ocean so its phases influence the waters in our bodies. This can be most easily seen with women’s menstruation cycle which is directed by the moon. Aligning monthly and daily activities according to the moon phases brings an easeful rhythm to our lives and peace of mind. That is true whether you are still menstruating or already past that. Anna Welle and I chat about how to align your activities based on the moon cycles, what to do and what not to do, so you can experience more ease. In our goal oriented Western society, we often have this sense that we need to push and get things done all the time. This may work well around certain times of the month when the moon gives us energy and focus naturally. Other times doing too much will lead to burnout. On the new moon, I clean house, renew my altar and set an intention for the coming month. During the waxing moon, I use the expansive energy to start new and creative projects. I also feel more drawn to meet with friends and socialize. This is usually a very exciting time for me as I am naturally more rajasic (drawn to create, do and accomplish things). This energy culminates around the full moon. During the waning moon the energy starts to turn inward again. I have created so much mess on my desk in the first half of the cycle metaphorically speaking, I use the second half to clean it up and finish projects. My energy starts to withdraw from the outside world culminating in complete inward focus during the dark moon. I don’t look at the moon calendar or the sky every single day (although that is a most marvelous idea) and sometimes I miss new moon day (which is definitely a bad idea). Just last week I got frustrated because I wanted to get all these things done on my to-do list and nothing was working. People didn’t answer phones, my mind was foggy and blank, I couldn’t keep my own schedule. In the mid afternoon I gave up and decided to double check the calendar and not to my surprise it was, well, the Dark Moon. No wonder I got nothing done that day. Had I been more aware I could have used the day’s energy more effectively with reflection and contemplation instead of muddling around in its darkness trying to create something where there was no energy to create. And I would have avoided all that annoying frustration. Lining up my activities according to the moon, gives me permission to pulsate between activity and reflection, between accomplishing and receiving…. to let go of the gnawing thought of constantly having to achieve. It is liberating!!! How the moon affects emotions … whether we are menstruating or not. 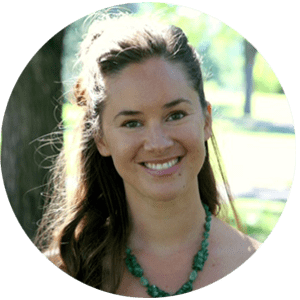 Anna Welle is an Ayurvedic Practitioner, Yoga Health Coach and Level III Reiki Therapist. She is passionate about helping women upgrade daily habits, routines and lifestyle to feel better in body and mind. She spent 3 years at the Kerala Academy to become an Ayurvedic Practitioner. She was also trained in Pancha Karma and spent time in India as an intern at an Ayurvedic hospital in Kerala. She has also mentored and assisted at the Living Ayurveda Course, a 9 month, online Ayurveda program. She completed her Reiki training with Shanti Jii and had the supreme blessing to sit with her Guru, Sri Mooji. Anna believes that we are unique, complex, and infinitely wondrous individuals. Our personalized path to healing doesn’t have to be complicated and that the way we structure our everyday life has a massive impact on how we feel. We are conscious beings with an innate intelligence to make choices that lead us to greater health and joy. You can download the episode on iTunes and/or on SoundCloud so you don’t miss out any episode.